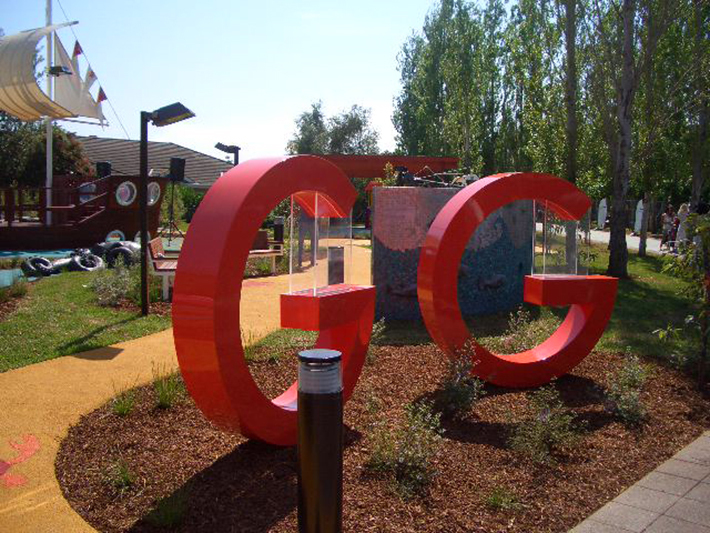 The George Gregan Foundation opened its first interactive outdoor playground at The Children’s Hospital at Westmead on 5th October 2006. 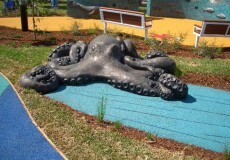 With major partners Mirvac and Backyard Blitz, the playground was completed in three weeks and was officially opened by the Foundation’s very special Ambassador, Katie Power. 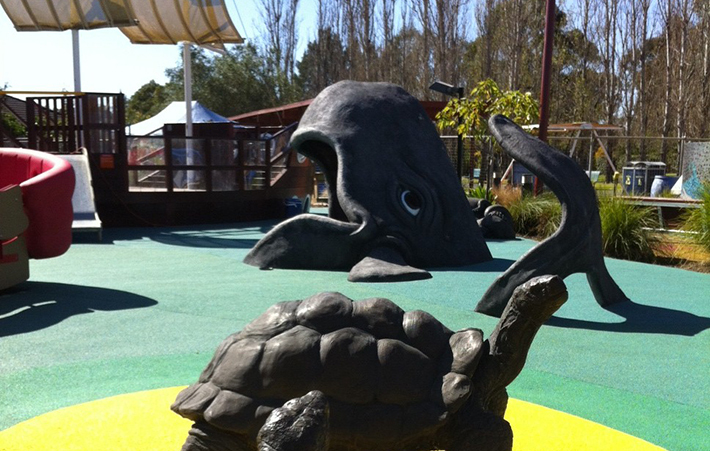 The project was based on Australian and international research and close consultation with The Children’s Hospital at Westmead to design an accessible and equitable play environment for children with and without disabilities. 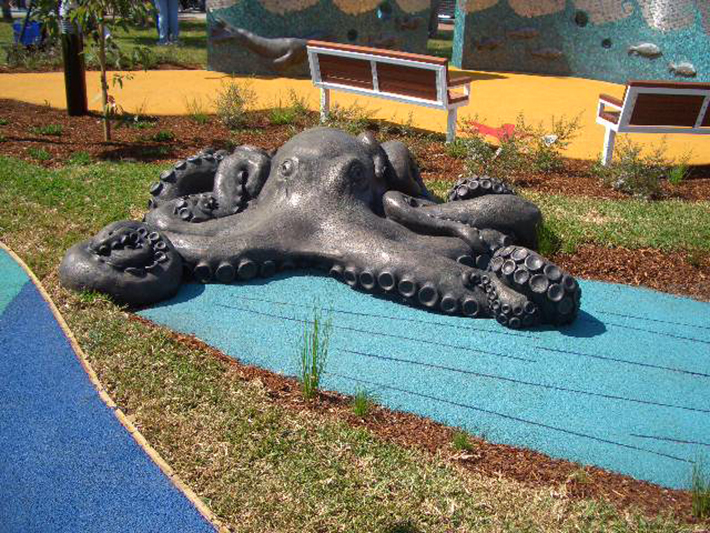 This playground has an aquatic theme and is filled with surprise water elements including sculptures of tortoises, crabs, fish, seal, walrus and an enormous octopus rising from the river bed. The major focus of the playground is a giant pirate ship complete with sound effects on the gangway, which was very generously donated by Cure Our Kids. 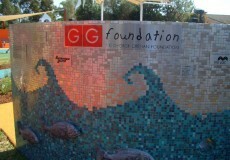 To maintain the playground the Foundation has created a donor wall. 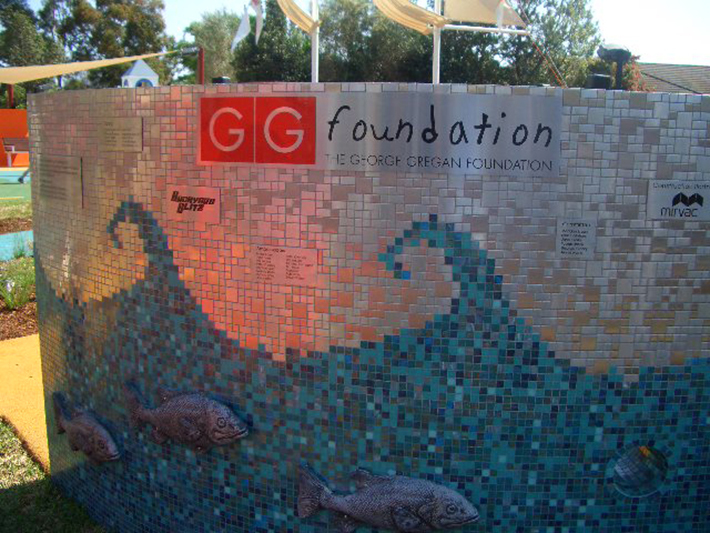 We would especially love to thank donors who have already supported the Foundation by buying a donor tile for the wall. There are still lots of spaces to fill on the new donor wall and we welcome any donation to this project. 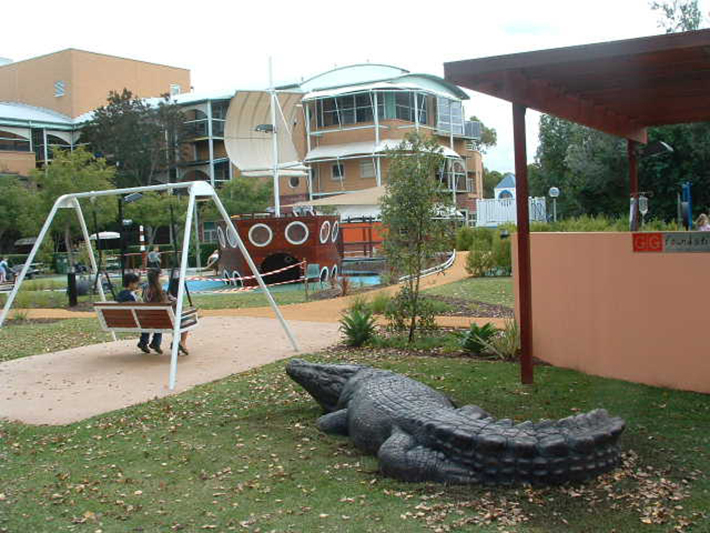 Every 3 months we will add new engraved stainless steel tiles to the donor wall which is closely guarded by a magnificent sculpture of ‘Sweetheart’ the 5m salt water crocodile. 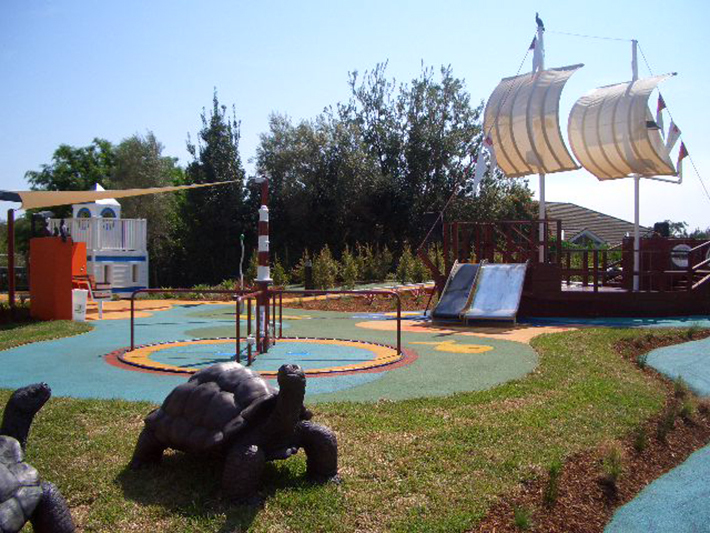 Donations to the Foundation will ensure the long term maintenance, upkeep, new play items and many more surprises are constantly added to the playground to entertain the kids and their families while visiting the hospital. As part of its ongoing commitment to the Children’s Hospital at Westmead, the George Gregan Foundation has installed additional shade structure over the playground and across the adjacent grass area and amphitheatre. 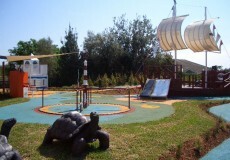 The playground is now accessible in warmer months and the shade has created additional play areas for the kids. 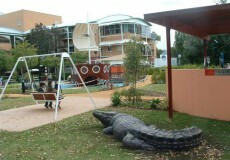 In 2012 the much loved playground received a facelift with the installation of a new climbing net, a fabulous whale cubby and a serene amphitheatre area for reading and relaxation. 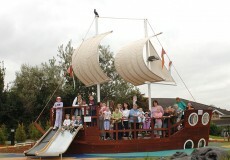 These upgrades and extensions were made possible thanks to the generous support of our donors. 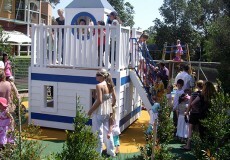 In 2008 the George Gregan Foundation helped fund the refurbishment of a playroom in the neurology ward at The Children’s Hospital in Westmead. 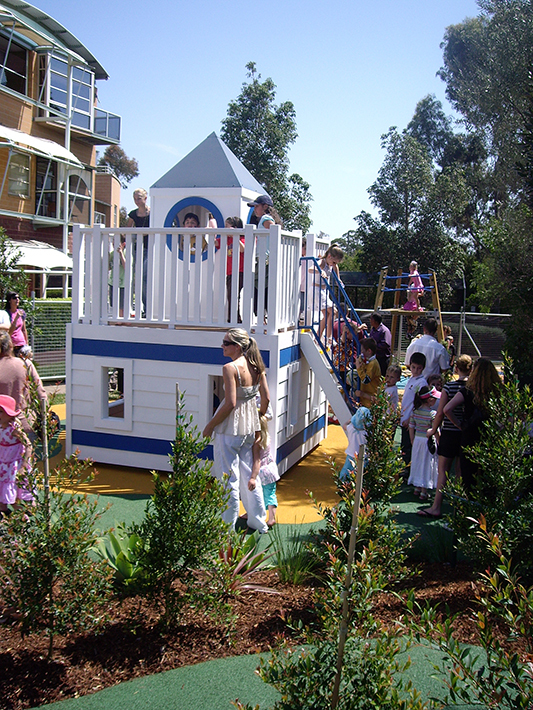 With the structural work (which involved removing an internal wall and closing in a verandah) achieved, the Commercial Travellers’ Ward playroom became a big sunny room with a great outlook over the George Gregan Foundation Playground. Since the refurbishment, the room has been transformed into a state of the art Epilepsy Monitoring Unit. ©2019 George Gregan Foundation 1300 306 608 ABN 81 938 849 292.